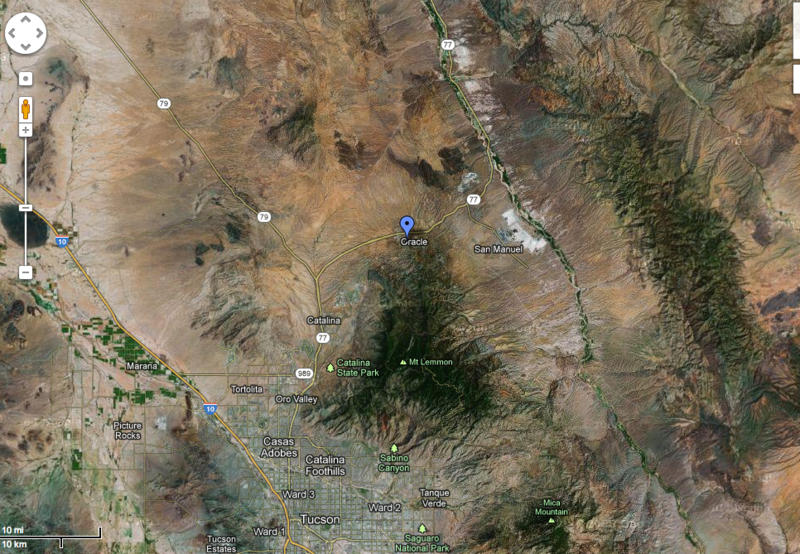 El Rancho Robles is located in the town of Oracle, Arizona at the base of the Santa Catalina mountains. The ranch is located approximately 2 hours from Phoenix Sky Harbor Airport and 1 hour from Tucson International Airport. Due to its high altitude of 4500 feet above sea level, the weather remains mild during summers with the average summer temperatures remaining in the low 90s. Winters offer a unique opportunity to experience the occasional snowfall in southern Arizona and skiing at nearby Mt. Lemmon.